Noseweight is the downward force of your caravan’s coupling head on your car’s towball. The downward force decreases as you pick up speed, so it is really important to have a sufficient noseweight when your outfit is stationary. What should your noseweight be? This will differ depending on your car manufacturer and your caravan. 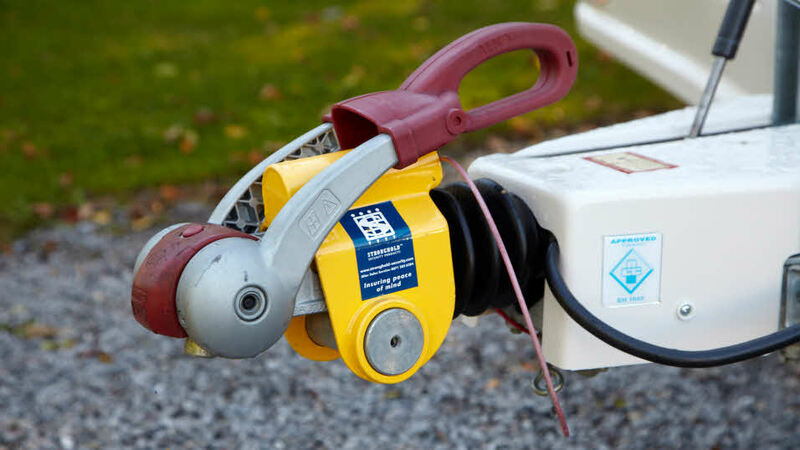 The general recommended noseweight for towing stability is 5-7% of your caravan’s actual laden weight. You can find the specific noseweight for your caravan in your car manufacturer’s owner’s handbook. We’ve also got a handy pdf download that lists noseweights for all makes and models. The ideal noseweight is based on the car’s suspension, the effects on steering and its traction, and the strength of the towbar and its mounting. It’s therefore, important not to exceed the recommended noseweight for your car. There are many different noseweight gauges out there but we recommend you use one that’s marked with the British Standard - you’ll find these more accurate, reliable and durable. If you don’t have a gauge you can always use your bathroom scales. Simply lower the front steadies half way and place the scales under the coupling head with a suitable piece of wood in between. How often should you check your noseweight? You should check your noseweight at the start of each trip and when you change your car or caravan. If, once you’ve loaded your caravan, you find it is tilting backwards, your noseweight is too low. Try moving heavier items towards the front of your caravan. If your find your caravan is tilting forwards, your noseweight is too high. Try moving heavier items to just behind your caravan axle. Or remove payload from the front of your caravan entirely.